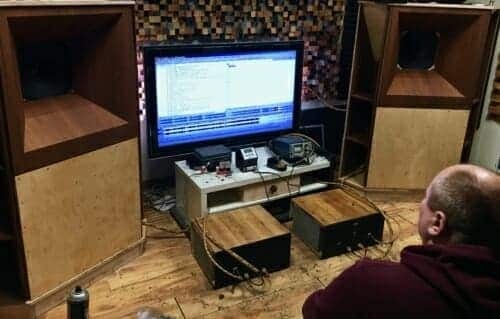 A person has an audio system and has spent money on it. It looks great but when the music is playing, in most cases in does not sound as good as it should. And why is this? The answer is very simple. You have never been told. You have bought your equipment but has anyone ever told you that system positioning is important? Has the ‘salesman’ who sold you your equipment ever explained the basic set facts to you? 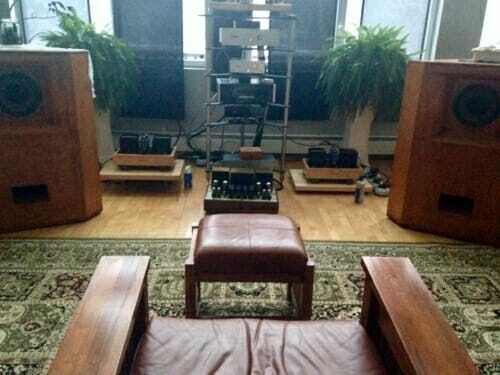 Or like most of the audio enthusiasts you just take everything home and set it up as you think. The picture above is a typical example of a system. The system has had thousands spent on it and the owner tries everything to make it sound better. 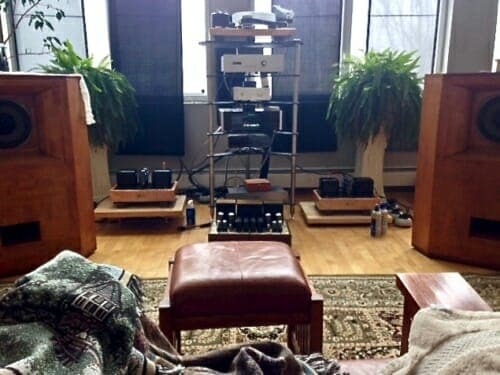 And this is why I am writing this ‘Audio system set up’ blog today, to help you get a better sound from your system. So what to do and where to start. 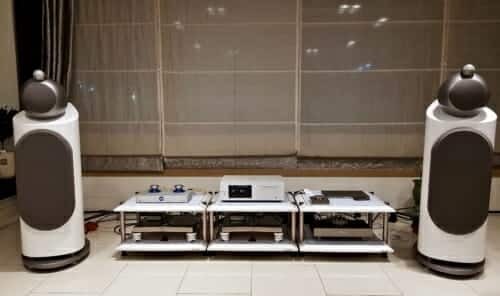 A few simple steps can make your system sound better and then is really is up to you just how far you want to go. 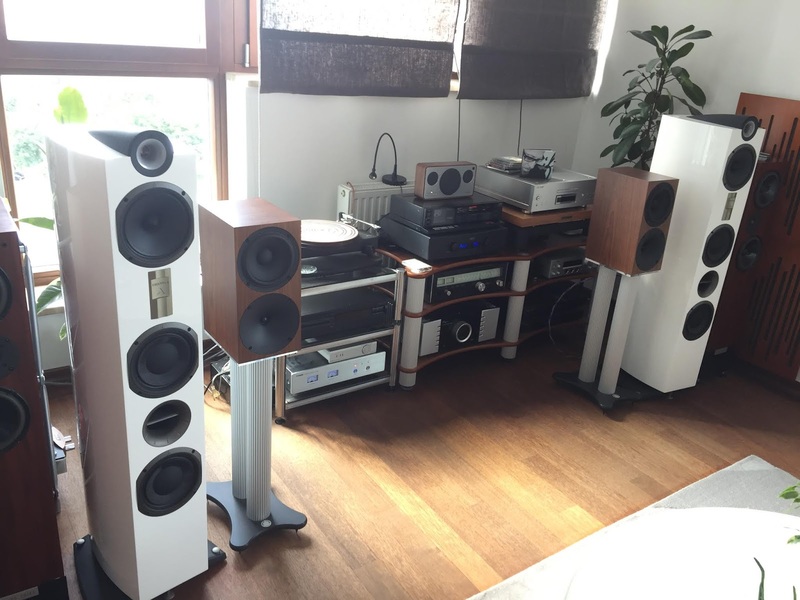 And just how good you want your system to sound. The first thing to do is remove everything in between you and your speakers. You can see from the picture above the foot stool was not removed but was at a later date! The second thing to do is position your listening position in the correct place. You can see from the picture above the listen position have been moved back about a meter. That is basically what to do. But how do you know how far apart your speakers should be. 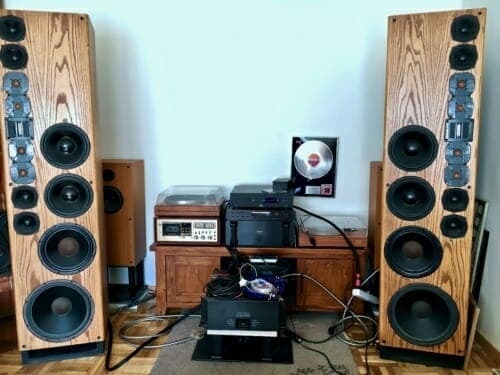 How do you know how far from your speakers your listening position should be? How do you know how far from the front wall and side walls you speakers should be? So many things to get right I know and does take a bit of time but well worth it believe me! The easiest way is to send me a pic of your system and I will work with you. This is a complimentary service I offer and usually done in three emails. 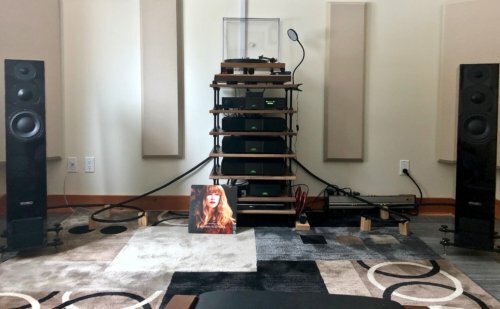 If you have enjoyed reading this ‘ Audio system set up ‘ blog, please share with friends as they may be in need of help – thank you. Which speakers do you personally prefer the sound from?